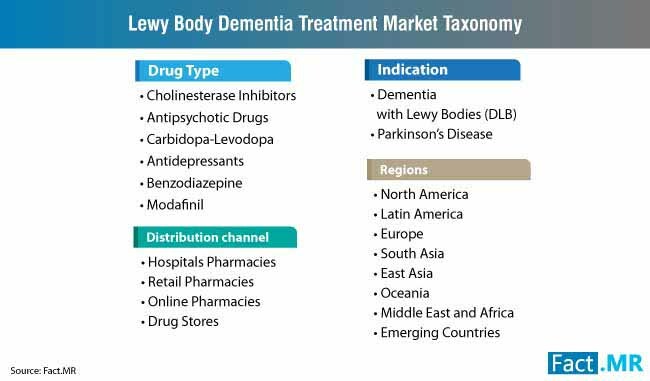 Global sales of lewy body dementia treatment were valued at over US$ 3,500 Mn in 2018, in line with wide-spread prevalence of lewy body dementia and subsequent need for effective treatment. 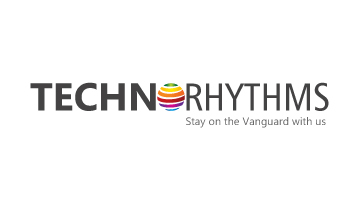 Cholinesterase inhibitors, valued at over US$ 2,100 Mn in 2018, will continue to remain the most lucrative category, followed by antipsychotic drugs. The minimal side effects associated with these two drug types are among the key reasons fuelling demand for these products. 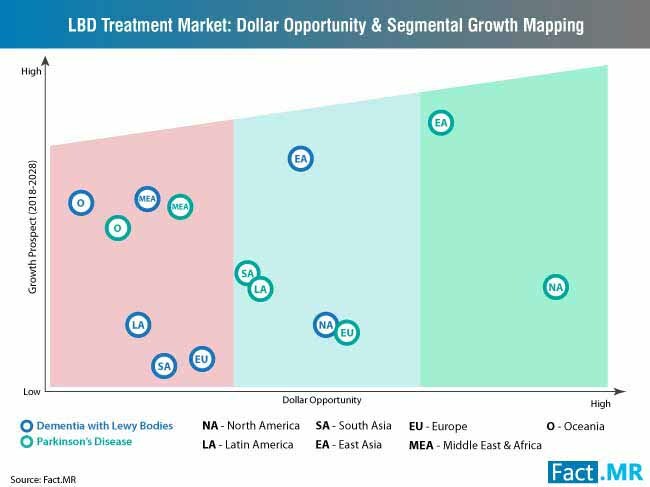 North America will remain the largest market for lewy body dementia treatment in 2019 and beyond, owing to appropriate dementia drug regulations and superior healthcare infrastructure in the region. East Asia is anticipated to emerge as the fastest-growing market for lewy body dementia treatment, as China and India spearhead demand with an ever-growing geriatric population. Note: For actionable insights into the for lewy body dementia treatment market, request a sample. Government initiatives aimed at creating awareness about lewy body dementia treatment are likely to uphold growth of the market. For instance, the US has signed into a law the BOLD Infrastructure for Alzheimer’s Act, an initiative aimed at forming a public health model against Alzheimer’s disease and other dementias. The law would sanction approx. US$ 100 Mn over a period of five years to enhance public education, reinforce numerous dementia initiatives being taken by various health and social service agencies, and collect and distribute data related to cognitive decline. Additionally, the increase in funding for lewy body dementia treatment has been reinforced by the novel R&D initiative by the National Institutes of Health (NIH). Increasing prevalence of lewy body dementia and the absence of concerned drugs to manage this ailment is influencing pharma companies to invest in R&D. Currently, Alzheimer’s treatment drugs are used for managing lewy body dementia; however, it is highly likely that a range of generic drugs will proliferate the market in the near future. The high cost of lewy body dementia treatment has prompted healthcare providers to bring certain aspects under the ambit of reimbursements. Favorable regulations pertaining to lewy body dementia treatment have meant that economically weaker sections of the society have access to quality care, which in turn has opened up opportunities for pharmaceutical companies. The burgeoning number of performed clinical trials for lewy body dementia treatment is underpinning gains in the market by bolstering the efficiency of the existing treatment options. Ongoing treatment trials for better lewy body dementia medication have the potential to drive market growth substantially, provided these trials result in successful outcomes. Note: For detailed information on multiple factors boosting growth of lewy body dementia treatment market, request a sample. The adverse effects of drugs used in lewy body dementia treatment are denting consumer and caregiver confidence, creating significant challenges for market growth. For instance, long term exposure to widely used cholinesterase inhibitors for symptomatic treatment of lewy body dementia can cause side effects, such as vomiting, diarrhea, weight loss, and insomnia. The numerous side effects associated with lewy body dementia treatment drugs have been restricting the growth of lewy body dementia treatment market. Although reimbursement policies are available in certain countries, governments in various countries are yet to offer support for lewy body treatment. Considering the high cost of lewy body dementia treatment, a significant population does not receive continuous care, leading to limited drug sales. Furthermore, lewy body dementia treatment requires long-term care, with various complications triggering the cost of treatment over time. The numerous technical, regulatory and economic constraints imposed during the development process of a drug remain a significant cost driver. Swedish research-based biopharma company, BioArctic AB, announced that AbbVie has attained the FDA approval of IND application for ABBV-0805 for the treatment of individuals with Parkinson’s disease. The alpha-synuclein-targeting ABBV-0805 is the most advanced treatment in-licensed by AbbVie from BioArctic in December 2018. The antibody has been evaluated as a disease modifying treatment for Parkinson's disease. 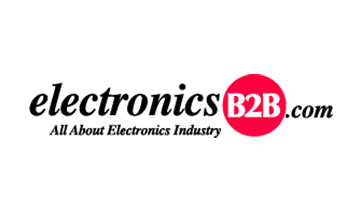 Sumitomo Dainippon Pharma Co., Ltd., a Japan-based pharmaceutical company, has signed a joint research agreement with Aikomi, Ltd. to build medical devices to relieve and prevent behavioral and psychological symptoms of dementia. 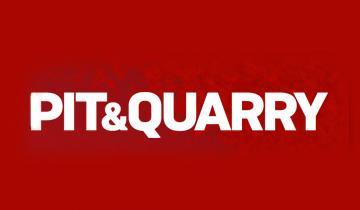 Takeda Pharmaceutical Company Limited has announced the completion of acquisition of Shire plc. With this acquisition, Takeda Pharmaceutical has become a global, value-based, research and development driven biopharmaceutical leader headquartered in Japan. 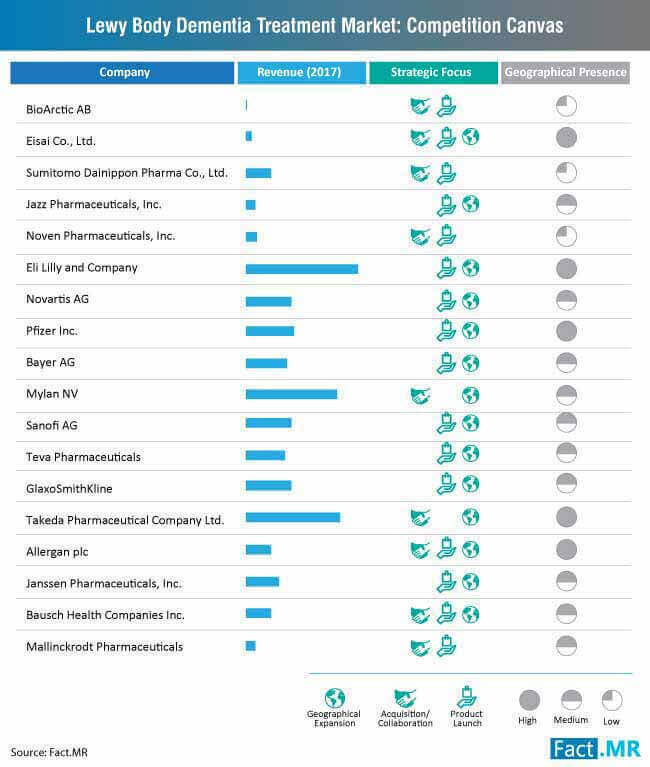 Other players operating in the lewy body dementia treatment market and profiled in the report include BioArctic AB, Sumitomo Dainippon Pharma Co., Ltd., Jazz Pharmaceuticals, Inc., Noven Pharmaceuticals, Inc., Eli Lilly and Company, Novartis AG, Pfizer Inc., Bayer AG, Mylan NV, Sanofi AG, Teva Pharmaceuticals, GlaxoSmithKline, Eisai Co., Ltd., Takeda Pharmaceutical Company Ltd., Allergan Plc., Janssen Pharmaceuticals, Inc., Bausch Health Companies Inc., and Mallinckrodt Pharmacauticals. Note: Fact.MR report offers captivating intelligence on the competitive dashboard of lewy body dementia treatment market. Request for a report summary. 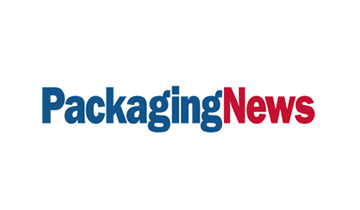 The rise in ageing population has been gradually increasing the patient pool for lewy body dementia treatment market, with leading manufacturers working on introducing new products tailored to solely focus on lewy body dementia. Pharma companies are focusing on the development of highly innovative and competitive pipeline products. To capitalize on the changing healthcare patterns, manufacturers are diversifying their treatment offerings and business expansion via strategic tie-ups with primary care hospitals and clinics in the Asian and European countries. The Fact.MR study report on lewy body dementia treatment market offers an exhaustive analysis and assessment on worldwide lewy body dementia treatment market, which has been compiled with the aid of a proven and tested research methodology that includes primary and secondary phases. This research methodology helped the analysts arrive at perceptive insights into the growth course of lewy body dementia treatment market during the foreseeable period. 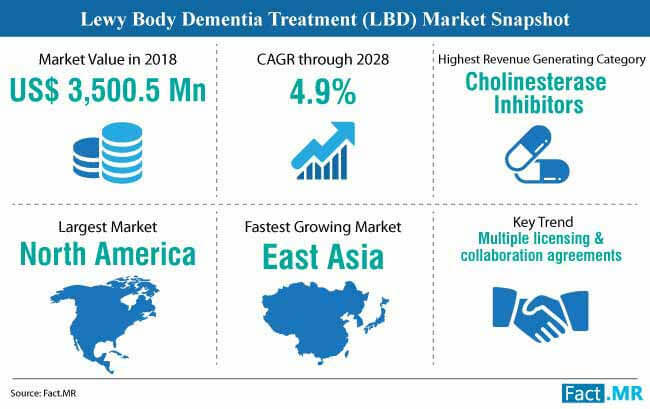 Data and insights compiled for lewy body dementia treatment market further undergo numerous stages of validation and examination before they got placed in the global lewy body dementia treatment market report. 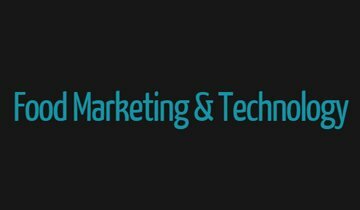 The authenticity of the market statistics compiled and evaluated for the lewy body dementia treatment market is inherited from the highly reliable research methodology of Fact.MR, which promises full reliability and high precision in terms of data and insights on lewy body dementia treatment market. 19.2.4. Sumitomo Dainippon Pharma Co., Ltd.
19.2.19. 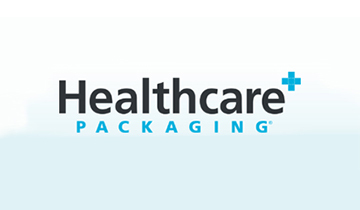 Bausch Health Companies Inc.